Manual of Small Animal Emergency and Critical Care Medicine, Second Edition presents essential information on common emergencies in small animals using a concise, practical outline format. Offering a thorough update to this classic reference, the new edition provides new chapters on orthopedic injuries and wound management, significant revisions to the treatment protocols, and expanded toxicology information, as well as new references and drug information. The book retains its logical division into two parts, the first covering initial stabilization and the second offering a systems approach to specific conditions. As in the previous edition, chapters are extensively indexed and cross-referenced to facilitate ease of use in emergency situations. 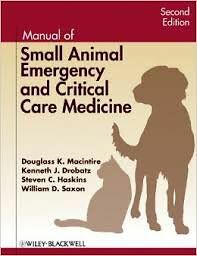 With many formulas, tables, drug dosages, and illustrations, Manual of Small Animal Emergency and Critical Care Medicine is an indispensable, convenient resource for busy emergency clinicians, whether they are new graduates or seasoned professionals.